Northvolt today kicked off the construction of Northvolt Labs. Once completed in 2019, the cutting edge scale-up and research facility will be used to develop, test and industrialize lithium-ion battery cells before large-scale production. The kick-off ceremony was held in the presence of Vice-President Maroš Šefčovič of the European Commission, the initiator of the industry led EU Battery Alliance, Vice President Andrew McDowell of the European Investment Bank (EIB), and the Swedish Minister of Enterprise and Innovation, Mikael Damberg. – When old technology is phased out and overtaken by electrification in the coming years, batteries are going to become the differentiating factor. 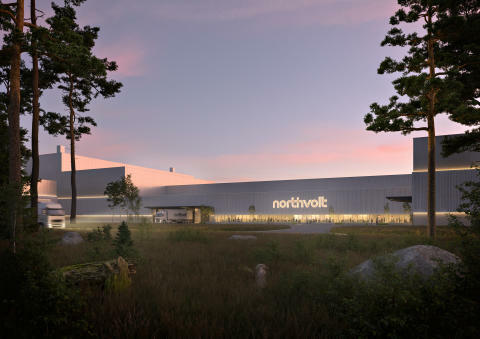 With increasing technology differentiation and substantial growth of R&D efforts from sophisticated customers, especially in the transportation industry, our strategy with Northvolt Labs is to provide a facility for them to develop their own design, then test, industrialize and qualify it, before taking it to large-scale production, said Peter Carlsson, Co-Founder and CEO, Northvolt. 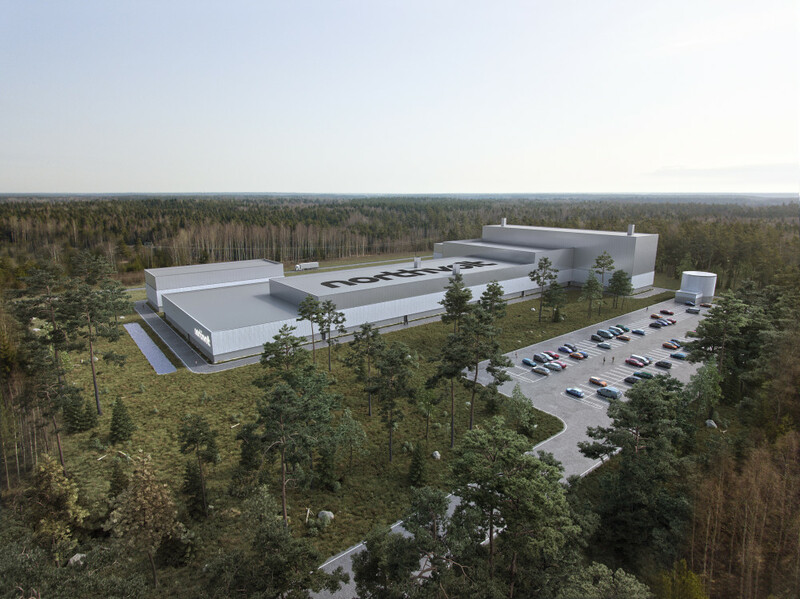 With support from the EIB and InnovFin – EU Finance for Innovators Energy Demonstration Projects facility, the Swedish Energy Agency, and industrial partners, the establishment of Northvolt Labs is a key step towards the launch of Northvolt’s large-scale battery cell factory. It also marks the first step towards the creation of a European value chain for large-scale battery cell manufacturing. – Batteries are at the heart of the industrial revolution. The Northvolt project shows that Europe has what it takes to become the world’s leader in innovation, decarbonisation and digitisation. I am proud to open this cutting-edge facility in Västerås together with our strategic partners: Northvolt and its EU consortium, Sweden and the EIB. We will continue to work together under the European Battery Alliance to make sure we establish competitive value chains in sustainable batteries production in Europe, said Vice-President Maroš Šefčovič of the European Commission. – The European Investment Bank is very pleased to finance Northvolt’s battery research, development and innovative manufacturing techniques, which will support the creation – in Europe - of highly specialized jobs and knowledge essential to Europe’s clean energy transition. I hope that today’s event and the signing of our EUR 52.5 million loan contract with Northvolt will also help catalyse a number of similar investments across other EU Member States, said Vice-President Andrew McDowell of the EIB. The facility will be built in Västerås, outside of Stockholm, Sweden. Västerås is home to several multinational companies with world class engineering and R&D competence in electrification and process optimization. – It is not a coincidence that this ground-breaking investment takes place in Sweden. We have excellent conditions to host the battery factories of tomorrow. We have the potential for mining of key minerals, green electricity and automation and power competence needed to make it happen. Sustainability and green technology is not just about doing good. It is about doing good business. And staying competitive in the long run, said Mikael Damberg, Swedish Minister of Enterprise and Innovation. With the mission to enable the transition to renewable energy and electrification, Northvolt in March 2017 launched its plans to build Europe’s largest lithium-ion battery cell factory. During the past 12 months significant progress has been made towards achieving the goal. – Northvolt is now entering the next phase, going from a planning to a physical phase. With a number of key partners and customers onboard, and with major progress made within cell, product and process development, we are now ready to take the next step, said Peter Carlsson. Northvolt Labs is a cutting edge scale-up line and research facility used to develop, test and industrialize lithium-ion battery cells before large-scale production. The facility will enable fully process representative manufacturing and allow a faster and more efficient time to market for unique formulations, cell formats and technology. At Northvolt Labs, Northvolt will be able to fully validate product and process development, from active material for finished cell, for multiple form factors.